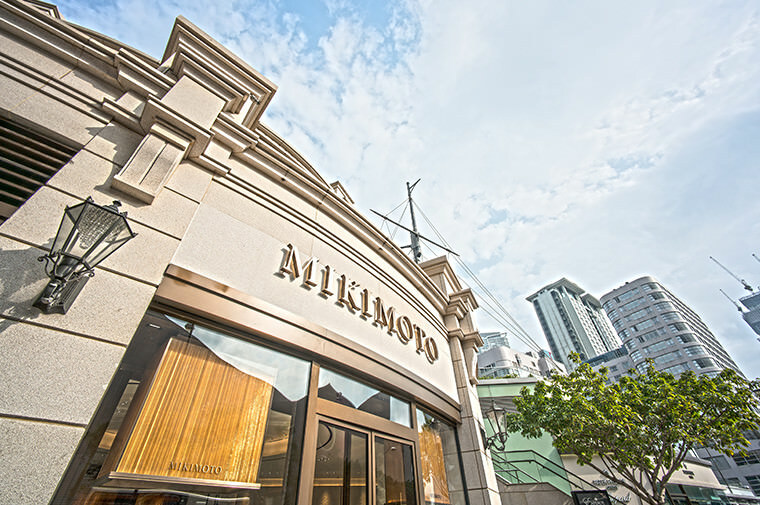 Mikimoto, the highly esteemed Japanese jeweler world reknown for its pearl accessories, opened a boutique in the historical shopping landmark of Hong Kong, 1881 Heritage. 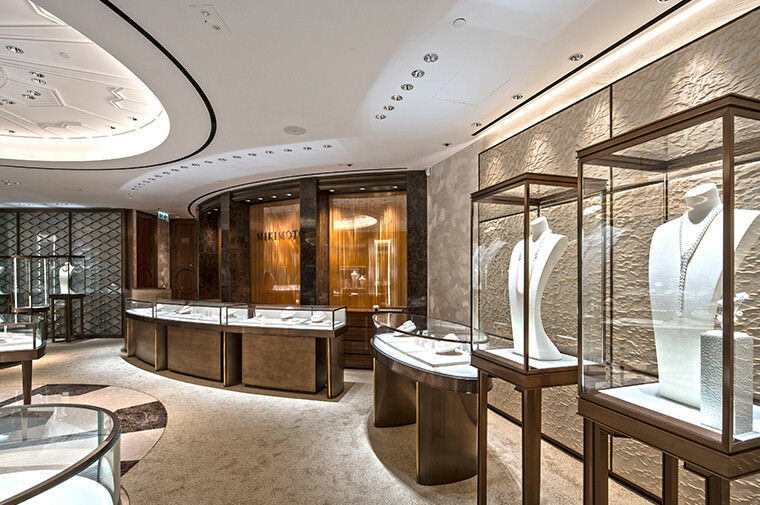 HOSOO fabric delicately adorns the interior walls of this precious store as the elegant gold fabric portrays the sea shimmering in sunlight, and the gently gradating blue fabric the quiet and sea sparking in moonlight. 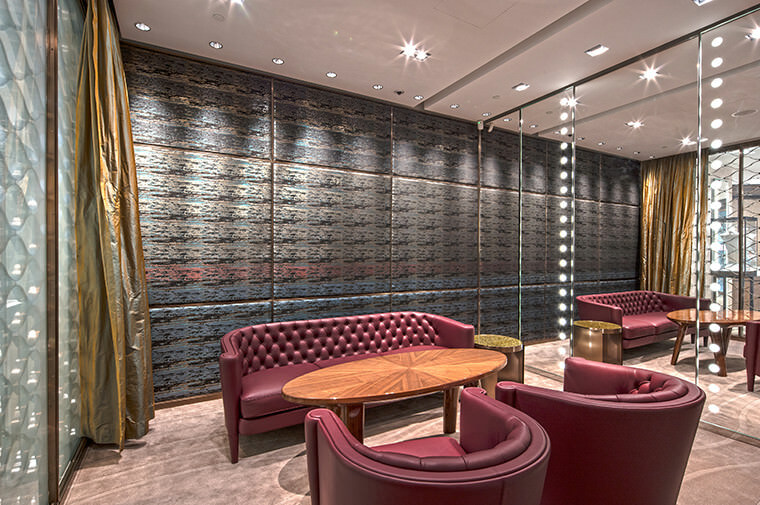 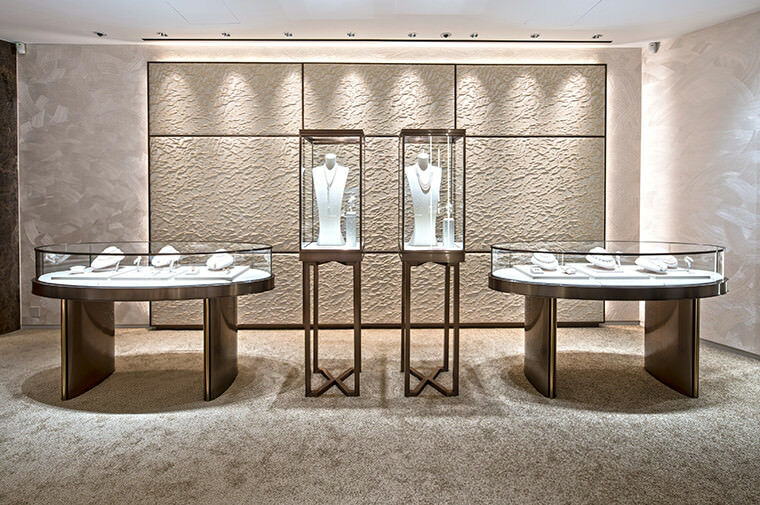 HOSOO’s Nishijin textile has also been supplied to Mikimoto stores in Paris, London, Singapore and Ginza.